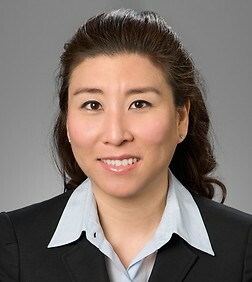 Susan M. Hwang is a special counsel in the Intellectual Property and Technology Practice Group in the firm's Los Angeles office. Susan has experience in intellectual property, advertising and Internet law. She handles matters involving trademark, patent, copyright, false advertising, dilution, counterfeiting, trade dress, trade name, and unfair trade practices issues and disputes in a wide range of industries. Susan has experience in the prosecution of intellectual property matters including applications, oppositions and cancellations. She also handles opinion letters, infringement risk analysis, and related litigation, including Trademark Trial and Appeal Board oppositions and cancellations. Represented well-known battery manufacturer as plaintiff in various counterfeiting and infringement actions, resulting in favorable settlements. Represented well-known winery as plaintiff in trade dress infringement action, resulting in favorable settlement. Represented lighting manufacturer as plaintiff in design patent infringement action, resulting in favorable settlement. Represented computer keyboard manufacturer as plaintiff in copyright infringement action, resulting in cease and desist of activities and favorable settlement. Represented nutrition and dietary supplement company as plaintiff in various domain name UDRP dispute proceedings, resulting in successful transfer of domain names. Assisted well-known poker game show company with clearance, filing and prosecution of portfolio of U.S. and international trademark registrations. Assisted reality television show producer with clearance, filing and prosecution of portfolio of U.S. trademark registrations. Assisted well-known casino with clearance, filing and prosecution of U.S. trademark registrations. Assisted celebrity dog trainer with clearance, filing and prosecution of her portfolio of U.S. trademark registrations. Assisted well-known toy manufacturer with filing for and prosecuting portfolio of U.S. design patents. Assisted packaging manufacturer with drafting and prosecution of utility patent application for packaging assembly, resulting in issuance of patent. Assisted celebrity skin care expert with licensing of intellectual property, including name and likeness, in connection manufacture and distribution of skin care products. Assisted video game manufacturer in due diligence and negotiations for merger with well-known video game company. Assisted Internet division of well-known motion picture studio and entertainment company with drafting and negotiating intellectual property licenses and drafting sweepstakes and contests rules and regulations. Advised nationwide musical instrument retailer in creation of an advertising compliance program. With 4th Circuit decision, new uncertainty about injunctions extends to copyright cases.